Will be officially revealed in 2017. 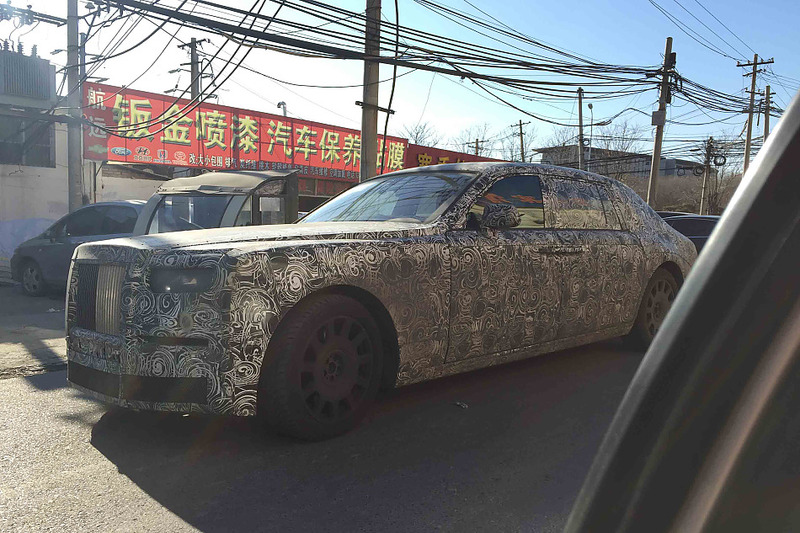 As Rolls-Royce continues development of the first of its next generation models - the 2018 Rolls-Royce Phantom - SINA has spied the model testing in Chinese roads. The all-new Phantom will be officially introduced next year, replacing the current, seventh generation model. The next-gen Rolls-Royce Phantom will not be available in Coupe and Drophead Coupe versions. The Rolls-Royce Phantom will undergo a revolutionary design moving to its eighth generation, retaining the familiar shape of the outgoing model. 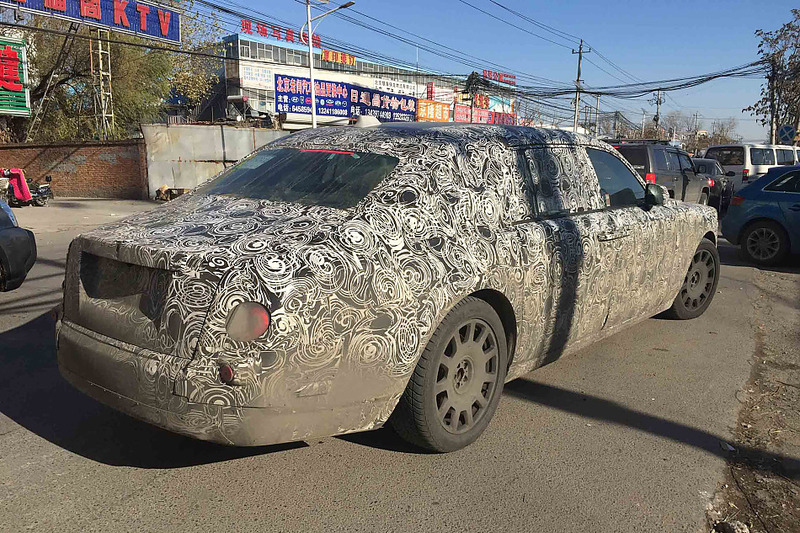 The heavy camouflage hides the changes, but it is evident that the test mule is the Extended Wheelbase Version. The Rolls-Royce Phantom Coupe and Rolls-Royce Drophead Coupe were to run out of production of this month, and the company has confirmed that these models won't be replaced. The next-gen Rolls-Royce Phantom will be based on an all-new aluminium platform that should lead to considerable weight reduction. The Phantom Mk7 weighs 2,560 kg (SWB)/2,670 kg (EWB). Along with a brand new platform, which will eventually underpin the Cullinan rossover and every other future Rolls-Royce in the forseeable future, the all-new Phantom will boast a plethora of technologies, including a fully-digital instrument cluster. The next-gen Rolls-Royce Phantom will be based on an all-new aluminium platform. It's not yet clear what lies beneath the bonnet of the 2018 Rolls-Royce Phantom, but a V12 petrol engine is likely to be available. Reports speculate a plug-in hybrid powertrain in the roster, but there's no concrete evidence of that or any other electrified variants for that matter.